Monica Rosenblatt, a sophomore performing arts major, accompanied on guitar by Kieran Collier, a junior writing, literature, and publishing major, performed powerful, resonant renditions of contemporary hits. 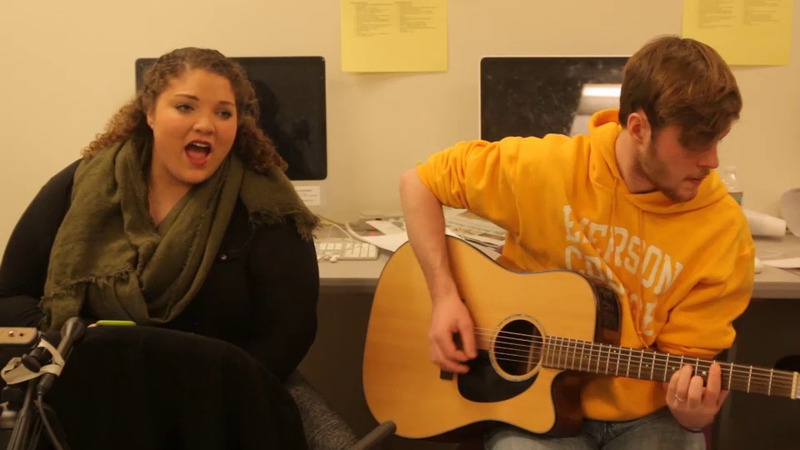 Beacon Beats is the Beacon's new musical performance series, in which Emerson students are recorded live at the Beacon office. Set list: "How to Love" (Lil Wayne), "When I Was Your Man" (Bruno Mars), "Stay" (Rihanna), "Gravity" (Sara Bareilles). Adams can be reached at jack_adams@emerson.edu. Live performances by Emerson students at the Berkeley Beacon office.